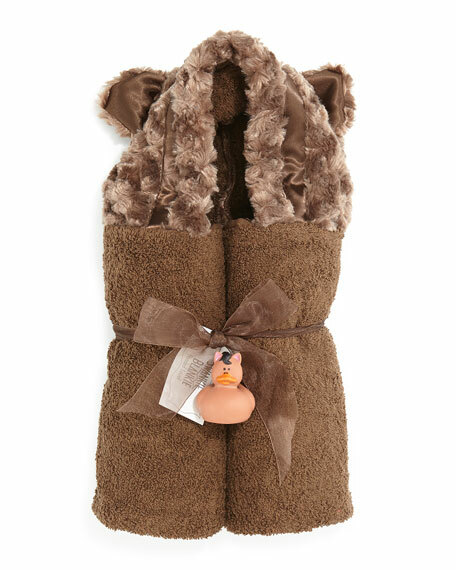 Swankie Blankie keeps your little bear warm and dry post-bath with this superior soft hooded towel. Tonal trim with plush contrast texture on hood; bear ear detail at top corners. 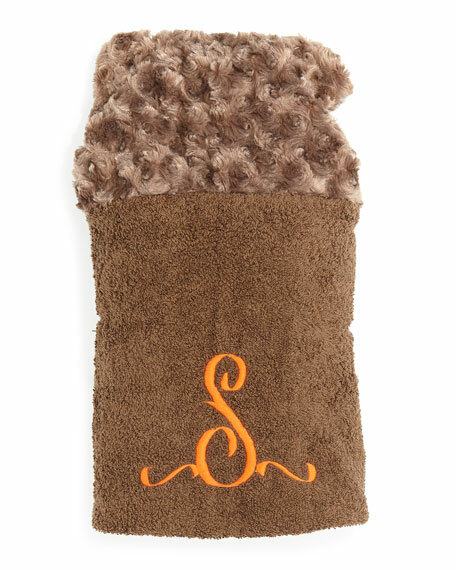 Option to personalize with child's name (up to 11 letters) or initial(s) (1-3 letters) on back in style shown. Please Note: Choose carefully. Personalized items cannot be returned.